Confession: about 10 minutes before LISTEN TO YOUR MOTHER: Charleston started last Saturday night I realized I had a bouncy ball in my bra. 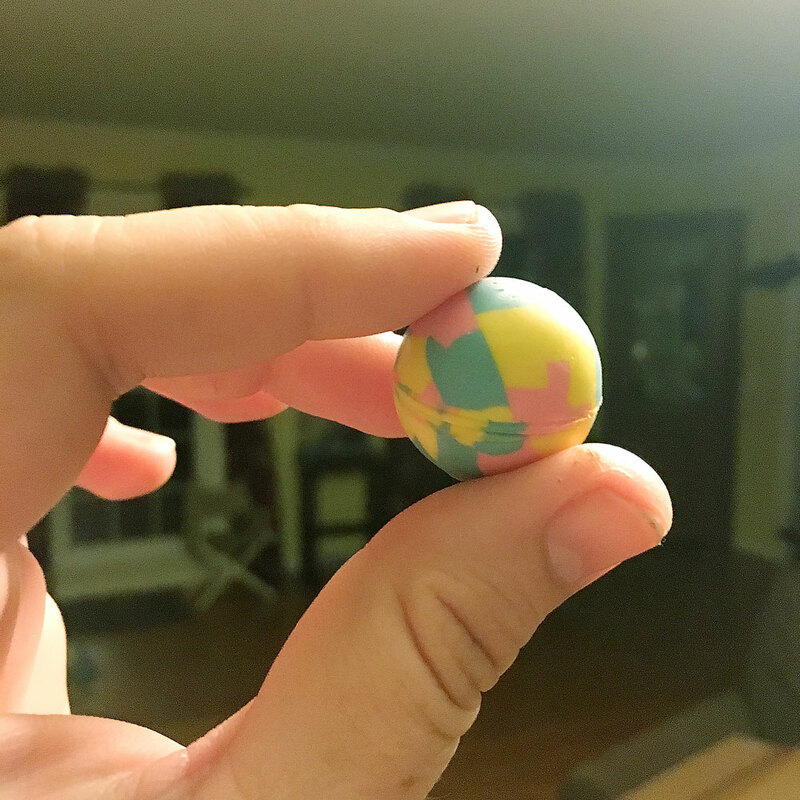 I had been helping Max clean his room earlier, and he’d handed me a bouncy ball to put with the others that I keep on my mantel. I didn’t have pockets, and I was rushing but needed my hands free to make up his bed, so the ball went into the cup of my bra where it was just as quickly forgotten. Hours later, standing in the kitchen of the Circular Church in full on show-prep mode: Programs? Check. Run through? Check. Cast gifts? Check. Tissues? Check. The list goes on. I put one hand on my chest to remind myself to breathe deep, just once, and I felt that ball. The story I read this year, I Mom, was all about using Mom as a verb. I don’t Mother. I MOM. And I’m defining what that looks like, and I’m moving forward how my kids need me. I do the Halloween costumes, and I don’t stress if they wear cowboy boots with shorts in July. I take pride in the way we do it. And I realized something as I giggled about my bra ball with Jennifer and Meredith. I realized that I HAD captured my truth. I had defined my role as a parent with my words. Someone who says that they “mother” their children is not the same person who stores bouncy balls in their underwear for safe keeping. That’s someone who Moms. I Mom. That is my truth. And that is the power of LTYM. It gave me a platform and space and the room to tell my story. I needed to be heard. My experience needed to be recognized. No, my story was not an emotional bomb that exploded in the audience’s lap that night—although we did have those. But that wasn’t my story to tell. That isn’t my truth. My truth was this little ball, warm in my hand, and precariously placed. It will always remind me to reveal my truth, and I have to thank LTYM for giving me the space. LTYM shows continue for two more weeks, and I think you should go see one. In a lot of the country, this might be your last chance to ever see a show like this. These pockets of love and truth are rare and exquisitely beautiful. Tell me, what is your truth, right now? I am always inspired by your writing and your ability to put your truth into words. I am so proud of all that you have accomplished with those 2 amazing kids and LTYM! !